Games Warehouse is a relatively unknown UK software manufacturer. 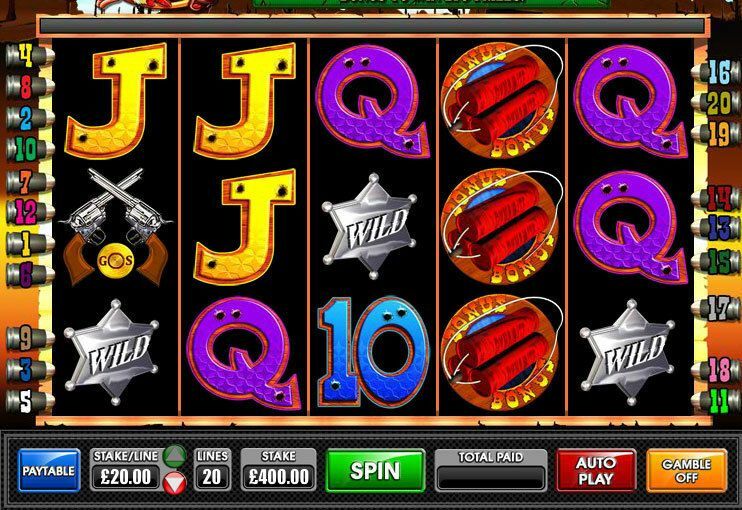 I have once tested different Slots from the manufacturer and present the slot machines as well as the software provider here once. At the end I also show, at which Online Casinos you can play the Slots. Games Warehouse sees itself as a leading provider in the field of Pay-to-Play Video Entertainment Terminals in the UK. It is particularly proud of the constantly growing Portfolio of Skill and Entertainment devices, aimed mainly at core customers in the UK, but also the whole world. The company’s head office is in Derby, just north of Birmingham. It sees itself as the market leader in Touchscreen Skill Game Entertainment industry. The software manufacturer allegedly listens to the needs of the players and delivers accordingly. I have once again looked at a few of the Games and will present them here in more detail. In the end I also show, which online Casinos ever offer slot machines of Games Warehouse. So far, only a few Slots for players from Germany are available from this manufacturer. However, the Games deal with different topics and use different game principles, so the Provider at least tries to create varied Games. Gold Strike is all about finding Gold. It is a 5 reel Slot with 3 rows and 20 paylines. As symbols 5 letters as well as numbers, a crossed Revolver and a Symbol with the inscription Gold Strike were selected. There is also a dynamite Scatter. If there is a win, the winning symbols come behind bars, remain sticky and a Respin is triggered. There are spins until no winning symbols are added on the corresponding lines. 6 Scatter grant a bonus game. It is called Tin Can Alley game. There you can see 5 bushes, from which you can choose one. There is either a cash prize or you can find a gold bull with the inscription Lucky Strike. With the latter one comes to the Lucky Strike Bonus. There you can see a playing field with 5×4 fields. You have to select a field and either find another Lucky Strike Symbol (up to 4 can be hidden) or a cross. The game ends immediately on the cross, but if you are lucky, you come to the Miene’s entrances and must blow up one of three entrances. At the end you can get another cash prize, which will be added to the winnings from the Cash Alley bonus game. The stakes range from 20 cents to€100 on the Slot. The maximum win for a full screen is € 25,000, which is equivalent to 250 times the bet. The payout ratio is 94.9%. The game is fun, but rather something for in between. I also had the bonus game after far more than 100 Spins – but there I had no luck. Even with a second time some Spins later nothing came out. It is more of a Low Variance Slot – Big Wins will not be there, or they will come at the end of the full bonus game. 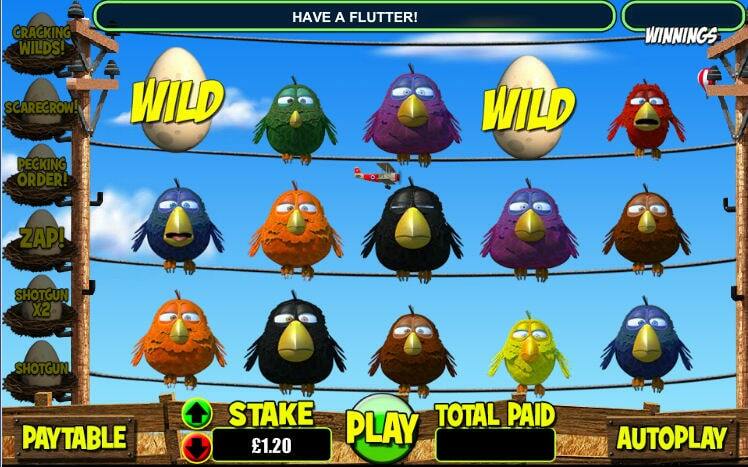 Birdz is a 5 reel Slot with 3 rows and 30 paylines. Red, brown, purple, yellow, blue, black, green and orange birds have been chosen as symbols. Otherwise, there is only one egg-Wild. The Slot represents 3 wires of high-voltage pylons, on which the birds sit. Shotgun: A bird on the first 3 reels is eliminated. A new bird is coming. Shotgun x2: this is where two birds are shot, the others then move up. Zap! : One of 3 rows is electrified-the birds die and new ones follow. Pecking Or! : 3 symbols with low value are replaced by 3 symbols with higher value. Scarecrow: The Scarecrow scares all birds, then new symbols come after. Cracking Wilds! : On one of the first 3 reels, all symbols are replaced by Wilds. Otherwise, there is only one bonus feature: the Bird Blitz! If you spin without a win, the Feature starts randomly. Here the birds fly back and forth until there is a winning combination. The stakes range from 30 cents to 60€. The maximum win is € 36,000, which would be 600 times the stake. The payout ratio is 95.43%. I’ve tried the Game for a while. The variance is significantly higher than the other Slots. It is relatively difficult to collect all the Features. I didn’t quite make it, but if you’re lucky you can make good profits with the Avalanche effect. 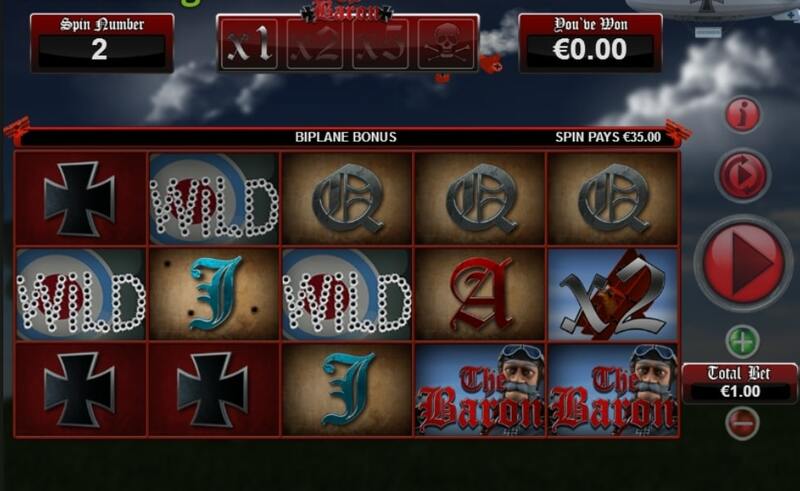 The Baron is a 5 reel Slot with 3 rows and 20 paylines. It’s all about the “Red Baron” – Manfred Albrecht Freiherr von Richthofen. As symbols you have selected 5 letters and numbers. The number is written about a British fighter pilot. Otherwise, there is the German cross, a Symbol with the Baron and 4 badges as Wild. In addition, the Red Baron with the inscription Bonus is found as a Bonus Symbol for a selection game. A British fighter pilot grants free spins. The free spins Symbol can appear on reels 2, 3 and 4. During the free spins you can get a 2 – or 5-fold multiplier, but there are new symbols with the inscription “x2” or “x5”. The number of Freespins is unlimited, they only end when you get a skull and bone Symbol. When the Bonus Symbol appears on reels 1, 3 and 5, a selection game is started. You can see 8 double-deckers and have to shoot at them. Each aircraft grants either a cash prize, a multiplier, a new Level (when you hit the British aircraft) or a skull (which ends the Game immediately). If you survive all 6 levels, you can win a 1,000-fold multiplier. During the base game, a red double-decker on roller 5 with the label “x2″ may appear at random. The wins of each line are doubled, and the British bikers with the ” 10 ” become Wilds. Between 20 cents and 40€ you can bet. The maximum win is 1,000 times the bet if you’re lucky in the bonus game. Up to 40,000€ would be possible on maximum bet. The payout ratio is 94.59%. Of the Story and the animations, it is the most elaborate Game of the manufacturer. I must confess that I liked it very much despite the rather macabre theme. I had all the bonus features once, but Big Wins didn’t. From my point of view it is a slot with a medium variance Level, so you win again and again something. So far, there are only 3 Online Casinos with the Slots of the manufacturer. SlotsMillion, Videoslots and Casimba offer all 3 games. I had tested the slot machines once at Casimba and seen first, but ultimately it does not matter at which Online Casino you try them.